Around two billion people are thought to suffer some kind of brain impairment, he said. “It is not impossible to build a human brain and we can do it in 10 years,” he said. The Blue Brain project at Swizerland’s EPFL (École Polytechnique Fédérale de Lausanne) was launched in 2005 and aims to reverse engineer the mammalian brain from laboratory data. In particular, his team has focused on the neocortical column – repetitive units of the mammalian brain known as the neocortex. “It’s a new brain,” he explained. “The mammals needed it because they had to cope with parenthood, social interactions complex cognitive functions. Over the last 15 years, Professor Markram and his team have picked apart the structure of the neocortical column. “It’s a bit like going and cataloguing a bit of the rainforest – how many trees does it have, what shape are the trees, how many of each type of tree do we have, what is the position of the trees,” he said. The project now has a software model of “tens of thousands” of neurons – each one of which is different – which has allowed them to digitally construct an artificial neocortical column. Although each neuron is unique, the team has found the patterns of circuitry in different brains have common patterns. 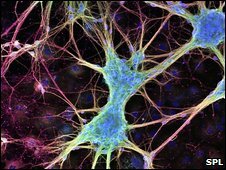 “Even though your brain may be smaller, bigger, may have different morphologies of neurons – we do actually share the same fabric,” he said. To make the model come alive, the team feeds the models and a few algorithms into a supercomputer. Instead, he uses an IBM Blue Gene machine with 10,000 processors. Simulations have started to give the researchers clues about how the brain works. For example, they can show the brain a picture – say, of a flower – and follow the electrical activity in the machine. “You excite the system and it actually creates its own representation,” he said. Ultimately, the aim would be to extract that representation and project it so that researchers could see directly how a brain perceives the world. But as well as advancing neuroscience and philosophy, the Blue Brain project has other practical applications. For example, by pooling all the world’s neuroscience data on animals – to create a “Noah’s Ark”, researchers may be able to build animal models. “We cannot keep on doing animal experiments forever,” said Professor Markram. 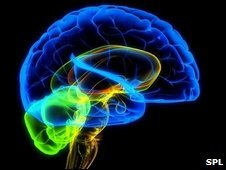 It may also give researchers new insights into diseases of the brain. “There are two billion people on the planet affected by mental disorder,” he told the audience. The project may give insights into new treatments, he said. The TED Global conference runs from 21 to 24 July in Oxford, UK.